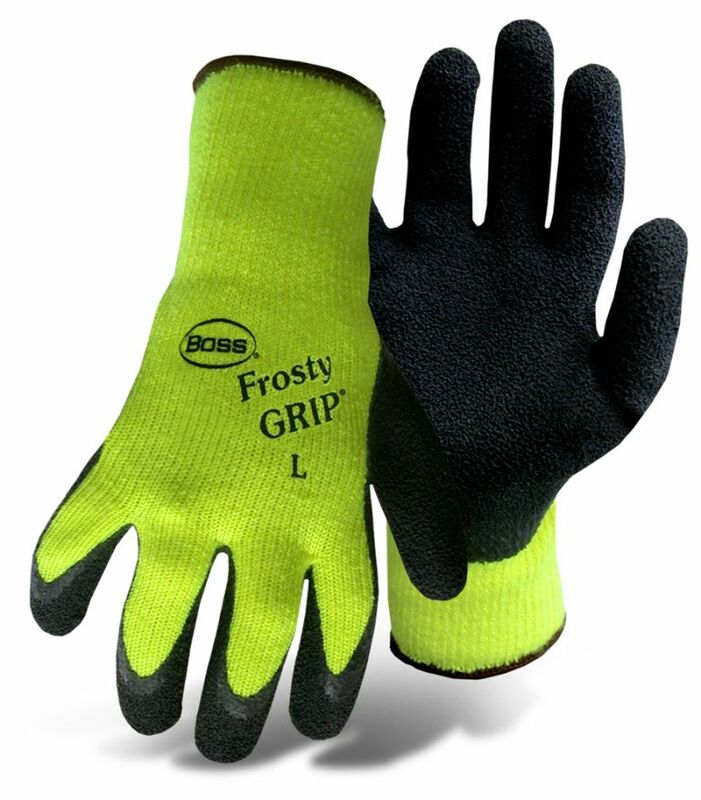 Hi Vis Frosty Grip Gloves by Boss are designed with a heavy latex coating, providing excellent protection against cuts and punctures. The heavyweight brushed acrylic shell provides extreme warmth in the coldest climates. The non-slip textured palm offers excellent tactile sensitivity ideal for precision work. Ergonomic pre curved design helps minimize hand fatigue.